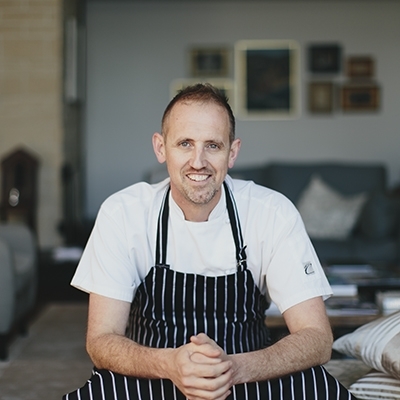 Cameron Matthews is executive chef of the Spicers Group of luxury retreats, and executive chef of The Long Apron restaurant and cooking school. He is acknowledged as a leading industry figure, devoted to local, dynamic producers. Cameron has gained a host of awards over his career, and is regularly invited to present at culinary and charity events. In his current role, Cameron is instrumental in designing kitchens, workspaces and menus for the Spicers Group, sourcing sustainable produce and managing the recruitment of key personnel. His flair and innovation are an integral part of his ever-evolving, intriguing and original take on fine dining, which is sometimes playful and quirky but always skilful, thought-provoking, refined, innovative and unexpected. Cameron’s cooking has a unique story-telling style that delivers a menu of local seasonal produce created by a passion for his craft. In November 2016, Cameron was awarded a Churchill Fellowship which allows him to study at restaurants in Spain, USA, Denmark and the UK that excel in sustainable best-practice. Cameron supports many children’s charities, and has cooked for the Australian CEO CookOff – he is a ‘walking billboard’ for the work of OzHarvest.